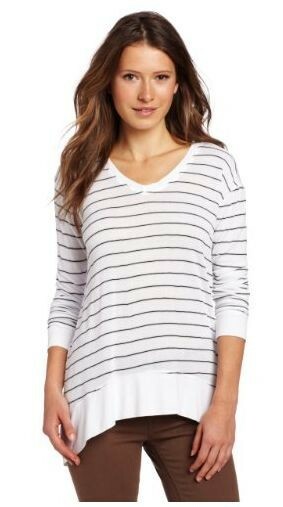 If you’ve been in the stores in the last few days, you may have noticed something: stripes and nautical themes popping up. 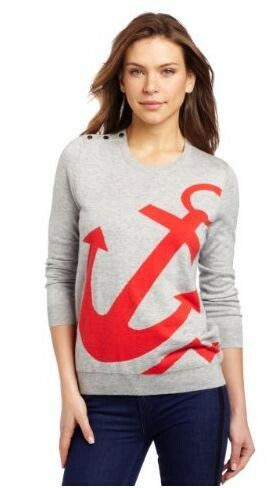 I’ve mainly seen anchors, which my 15-year-old daughter is obsessed with right now. 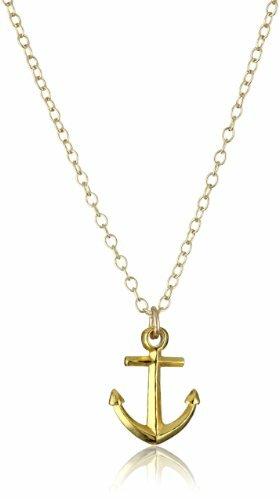 Anchor jewelry, anchor shirts, anchor accessories….you get the idea. 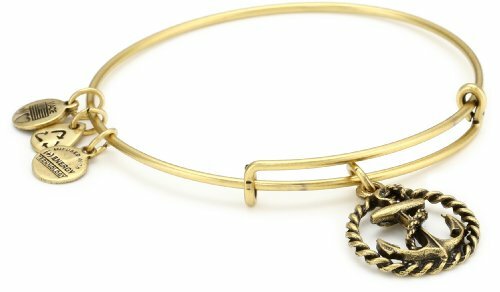 And she’s on to something – anchors are in. 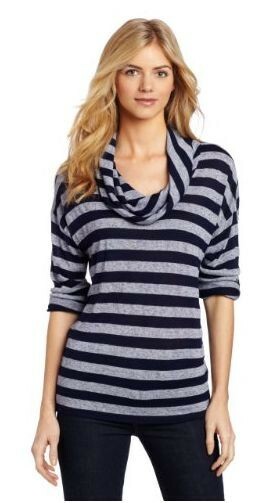 Stripes and Nautical styles are a huge fashion spring trend for 2013. Check out a few pieces I found that are drool worthy, as well as two outfits I put together on Polyvore. A pair of white bottoms is the perfect piece for a Nautical style outfit. 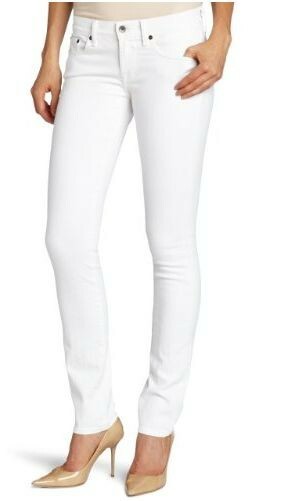 Here are a few white jeans and pants I just love. This first outfit is cute and super cozy. 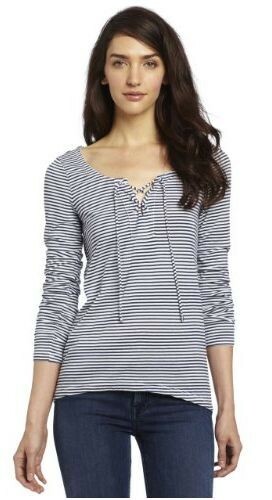 I can see wearing this on a Saturday out and about at the local farmer’s market or for a lunch date. 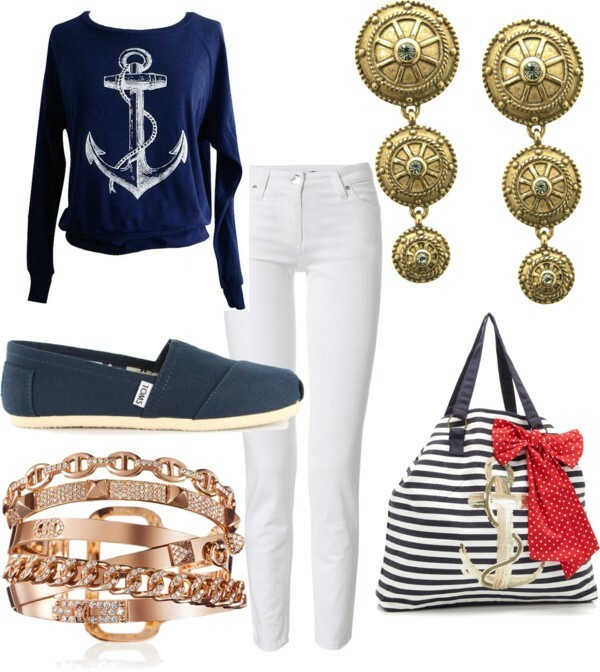 This Nautical styled outfit is a bit dressier. It features a fitted striped top, white tuxedo pants, gold accents such as jewelry and sandals and a red bag for a splash of color. 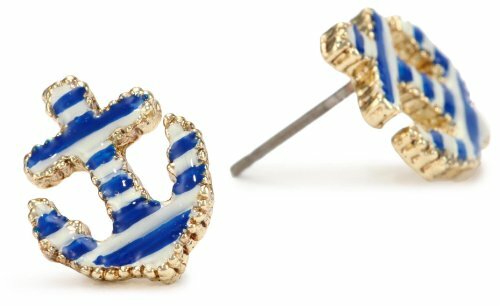 Are you going to embrace the Nautical trend? 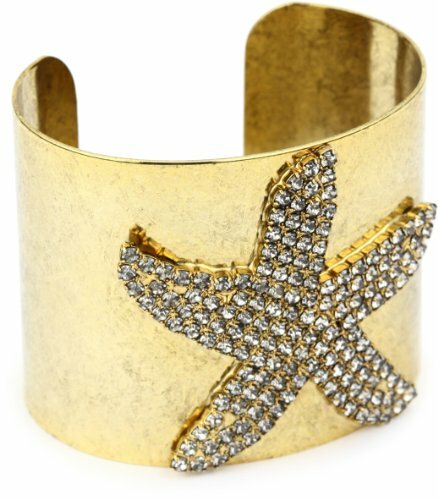 I suggest adding one piece (something with an anchor on it) and see how you like it. Love the tops you picked! Really gorgeous 🙂 Hope you can check my picks too!